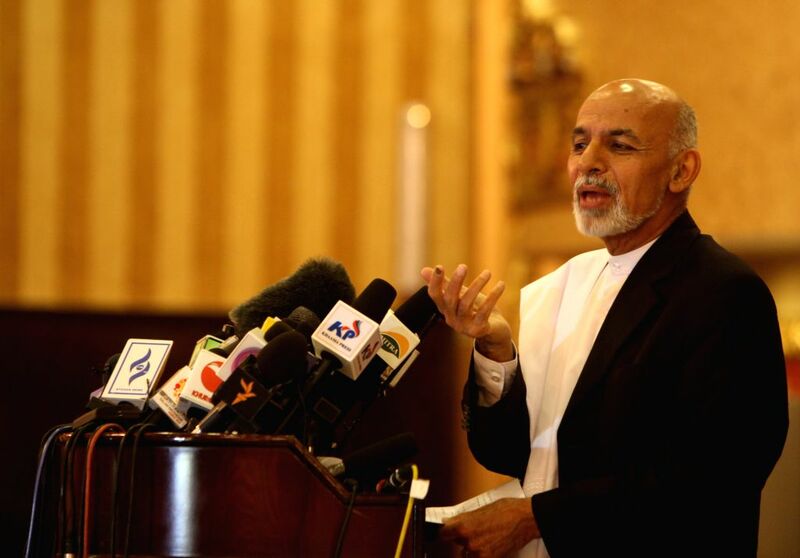 KABUL, April 27, 2014 - Afghan presidential candidate Dr. Ashraf Ghani Ahmadzai speaks during a press conference in Kabul, Afghanistan, April 27, 2014. Afghan presidential candidate Dr. Ashraf Ghani Ahmadzai, who was declared the second winner in preliminary results, said he was ready to take part in runoff elections if the polls take place. 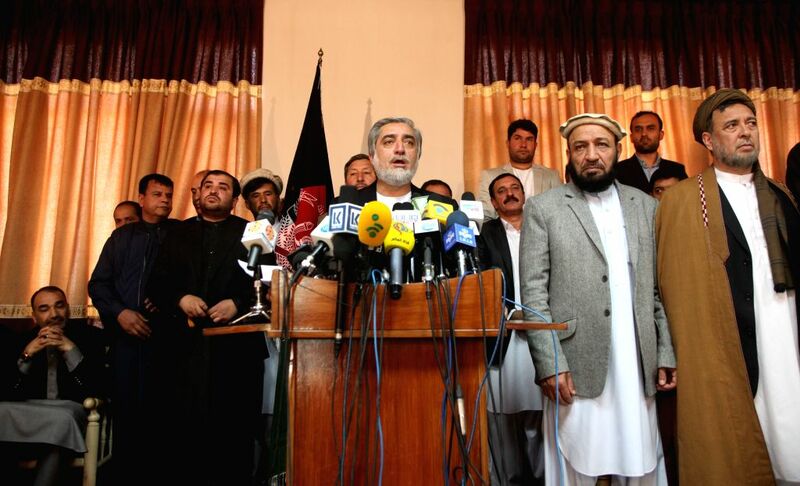 Afghan presidential candidate Abdullah Abdullah (C) speaks during a press conference in Kabul, capital of Afghanistan, on April 27, 2014. Abdullah Abdullah on Sunday said that he will decide whether to take part in a possible runoff election after the final results are announced.